A guest enjoys a ride at Sahara Sam’s Oasis in West Berlin, N.J. The best way to maintain a park is to be proactive, the assistant general manager said, and daily safety inspections include an itemized checklist for each of the 14 attractions. 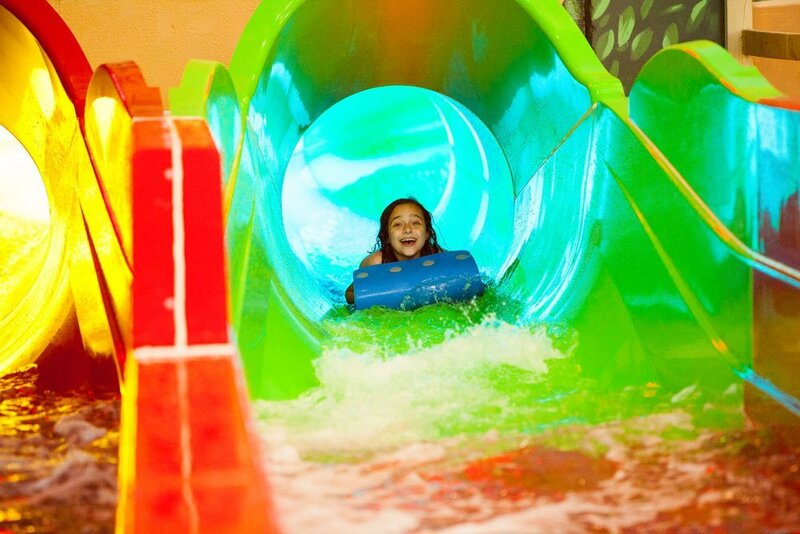 When looking to make a waterpark as safe as it can be, there are lots of areas to address. 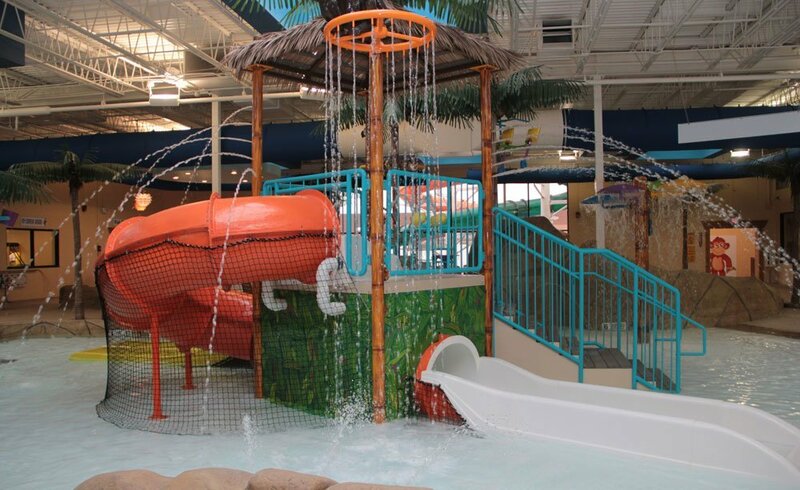 At Pelican Harbor Indoor/Outdoor Aquatic Park, in Bolingbrook, Ill., Tim Jaskiewicz, aquatic manager, said his best advice for running a safe waterpark is to have a well-trained staff. “They are the ones who conduct inspections, maintain pool chemistry, respond to emergencies and enforce rules,” he said. Tim Jaskiewicz, aquatic manager, Pelican Harbor Indoor/Outdoor Aquatic Park, Bolingbrook, Ill. Jaskiewicz said his best advice for running a safe waterpark is to have a well-trained staff. In addition to training staff to enforce rules and regulations, Lynne Gallo, general manager, Tomahawk Lake Waterpark, Sparta, N.J., said that good signage is key to maintaining a safe park. Furthermore, all patrons are given the rules when they enter the park. Also, daily maintenance and inspections, along with making repairs promptly, is critical. 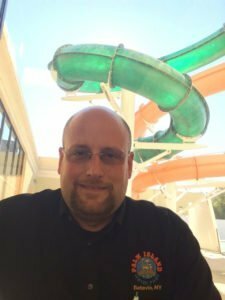 Jim Kunau, general manager, Hurricane Alley Waterpark, Corpus Christi, Texas, said safety needs to be established as a top priority. “A culture of people being concerned about safety comes from the top down,” he said. “You monitor it, teach it, measure it and preach it,” he said. Tom Phelps, general manager, Palm Island Indoor Waterpark, Batavia, N.Y., said park staff perform an opening inspection of the grounds and attractions. “Keep a detailed maintenance log of what has been done in the past, so if there is a recurring problem you work on fixing it and make sure staff keeps a closer eye on it,” he said. Tom R. Phelps, general manager, Palm Island Indoor Waterpark, Batavia, N.Y. Keeping a detailed maintenance log is a strategy recommended by Phelps. For outside attractions, purchasing a storm radio and phone app that tracks lightning strikes in the area is beneficial. This can be helpful for staff if a guest tries to disagree with them about a situation. Pelican Harbor Indoor/Outdoor Aquatic Park strictly enforces its swimmer to counselor ratio for all of its groups and swim tests every child coming with a group. Gallo said the park continually updates and upgrades equipment as well as signage and improves training of staff with in-services in order to maintain a safe environment. Staff members at Palm Island Indoor Waterpark are scheduled to start before the park opens to make sure they are ready to begin their day awake and with a positive attitude, according to the general manager. In an effort to enhance safety, Hurricane Alley Waterpark is in the process of having non-aquatic managers go to safety school where they become certified lifeguard instructors. “Safety becomes their top priority when they get trained,” Kunau said. Sahara Sam’s Oasis also has a third-party safety auditor provide a second opinion on its operations. Daily safety inspections include an itemized checklist for each of its 14 attractions. Some items include making sure that nuts and bolts are tight, that no rust exists, that there is proper water flow and that ride surfaces are smooth. If something looks like it will need a repair soon, it is fixed. 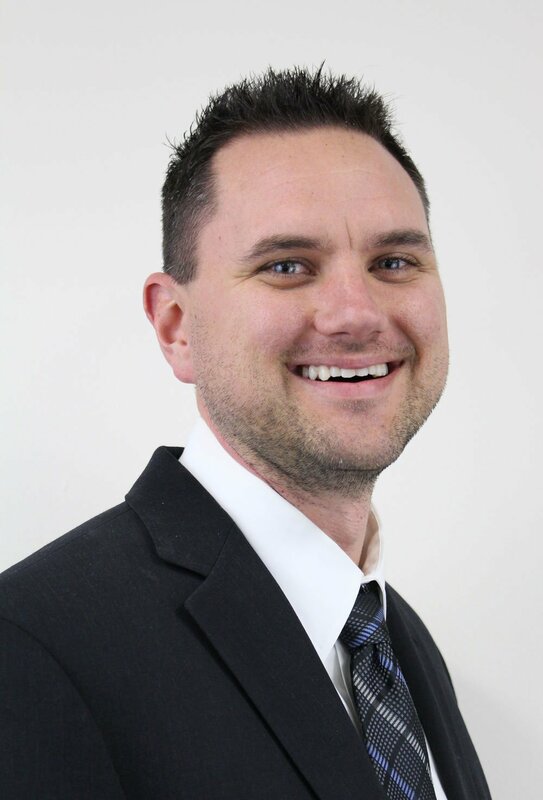 Phelps has completed training to become a Red Cross instructor, which allows him to do more in depth in-service training along with making sure that all staff certifications are up to date and training is completed. Keeping guests safe is an ongoing challenge. At Hurricane Alley Waterpark, guests who can’t swim must wear life jackets. Anyone under 42 inches tall must always be within an arm’s length of a responsible party. “No running” signs are posted in both English and Spanish. A view of the staff at Pelican Harbor Indoor/Outdoor Aquatic Park. The attraction strictly enforces its swimmer to counselor ratio for all of its groups. The lifeguards and park attendants at Pelican Harbor Indoor/Outdoor Aquatic Park have to know the rules and reasons for enforcement. The head lifeguards and managers must stay active with enforcement and support and back up the lifeguards. Typhoon Texas operates and enforces a common-sense code of conduct that is consistent with the operation of a family waterpark destination. “These policies are posted at its entry and on its website,” Barnett said. Phelps said staff explain the rules to guests instead of just blowing their whistle and saying “no.” For example, staff might say something like, “I would like everyone to be aware that the balls in the basketball pool are for basketball only; please do not whip or throw them at each other” or “while in the spa you need to keep your head above water as the jets make it harder to see to the bottom and we do not want someone to slip under and not be seen.” “We also enforce that if we speak to the same child twice, on the third occurrence we have a supervisor go with the child and speak to their parents,” he said.